The key word is not Gaming. Rather, it is Stimulation & Fit-it. Such frustrating games are meant to push your mind’s limit and patience to the cliff. Once you are able to cross the threshold you then could learn to master your mind to think slightly differently in day to day problem solving and think more creatively than the average people. Such cellphone games are no longer time-passing games anymore, some of them are more useful than you think. The tricky part is that not everyone could become smarter in problem solving just by spending useful time playing such games. Many could just end up improving their psycho-motor skills and that’s all. To really benefit from playing games like Flappy Bird, one must be able to think differently from normal situations and possesses the ability to size up opportunities present in front of them. Our brain works differently for verity of situations and scenarios. Flappy Bird Special Edition Is Out? 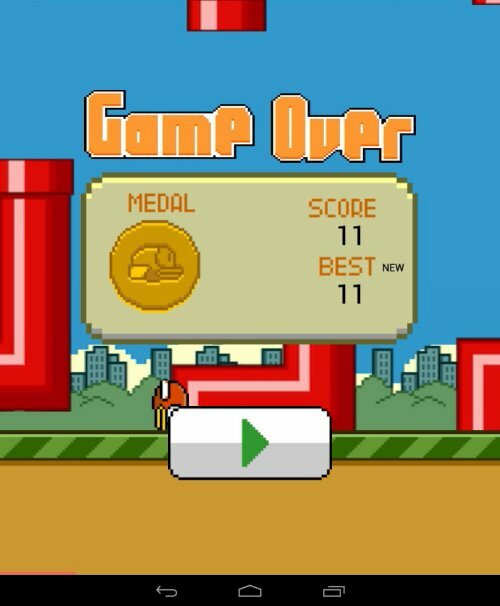 While whole world is aware that the popular and most frustrated game Flappy Bird has been pulled down from the Play Store, here’s a surprising discovery. Apparently in Taiwan region some people could still download the game (original Flappy Bird) but, there’s one distinctive graphical change. The green pipes are changed to red pipes. The game remains exactly the same game other than this new discovery.